My name is Declan McQuaid, and I run a restaurant in Woodstone, Connecticut. My heritage is Irish, but I was born and raised in England. My parents owned a small pub where my Mum served a decent Ploughman’s lunch and a selection of butties. Nothing fancy, mind. My place is a little more upscale with the feel of a cozy pub but a slightly more gourmet menu. It’s not that I’m trying to go my parents one better. Mum and Dad ran a great establishment—they worked long, hard hours to make a go of it. But I’ve got a hankering to create something a little different. I have to admit a lot of women come in to sit at the bar and have a chin wag. I don’t mind. I’ve got a bit of a reputation as a lady’s man, and I won’t deny there’s some truth in it. I’d like to settle down—just haven’t met the right woman yet. 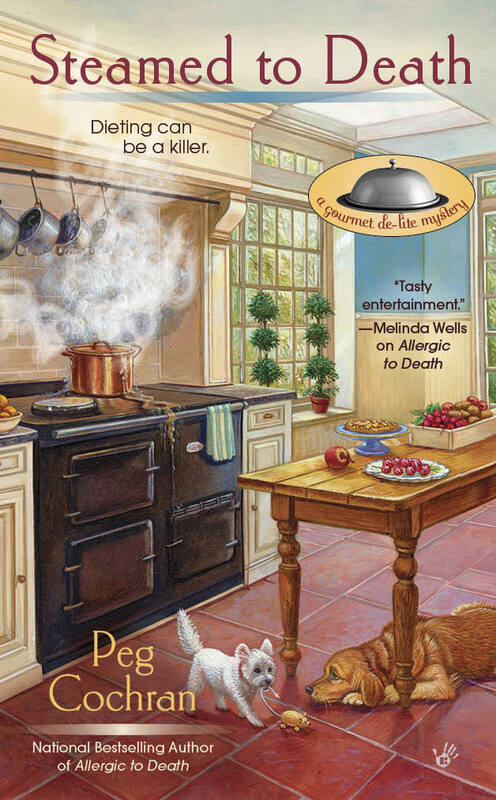 You’ll be meeting me in Steamed to Death coming out in June. I hope you’ll stop by Declan’s sometime. I’d love to meet you. First drink is on the house. I'll be there, Declan. And I'll bring the entire book club! Looking forward to it. I don't drink but I'd love to come sit a spell. All of Threadville will try to come at the same time as the Ashton Corners Book Club! Can't wait to meet you, Declan! I would love to visit with you Declan! And I love the book cover, but also think it is very similar to the Victoria Hamilton Vintage Kitchen mysteries.